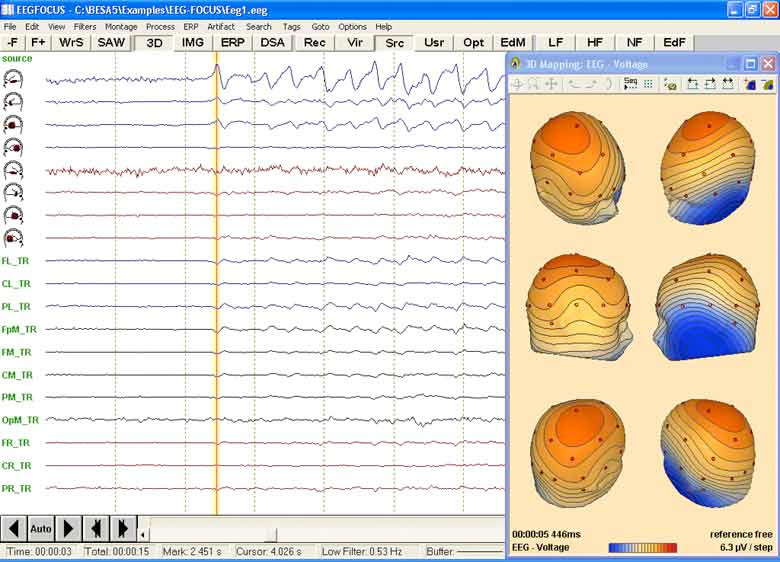 Please note that EEGFocus is available from Nihon Kohden only. 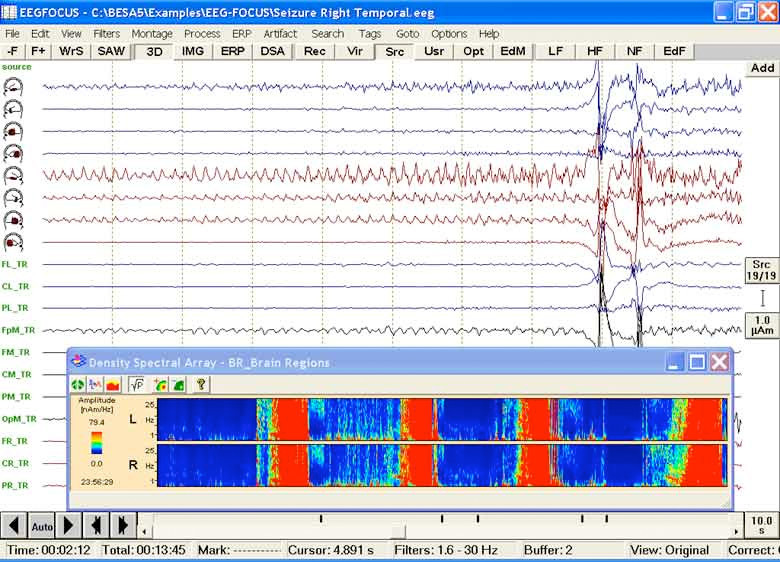 Focal right temporal seizure revealed by brain source montage and 3D whole head maps. 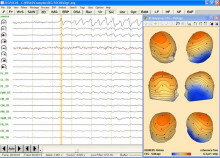 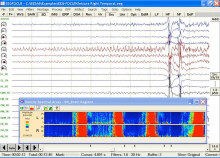 Left temporal-basal seizure onset shown by brain source montage and whole head mapping.